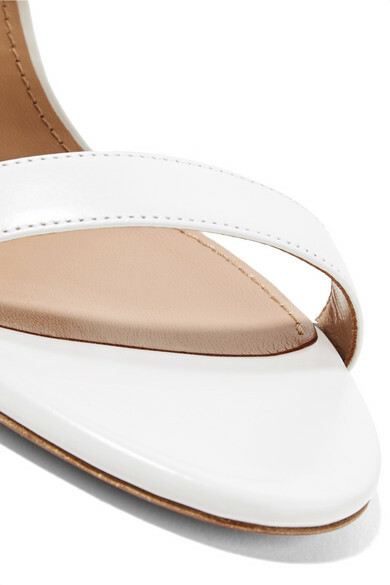 Aquazzura updates its signature 'Rendez Vous' mules with an open peep-toe for a more summery feel. 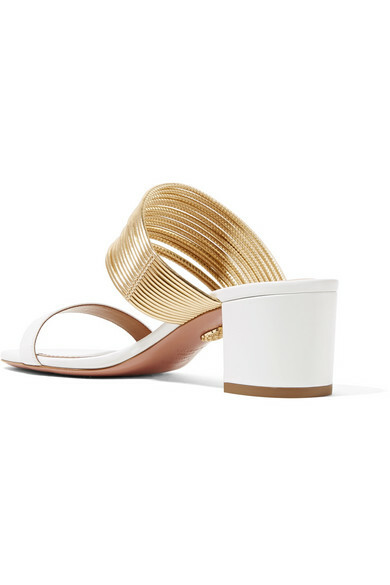 Crafted in Italy from off-white leather, this pair is detailed with the label's signature thin gold straps and set on a comfortable 50mm block heel. Keep yours in focus with cropped jeans or midi skirts. 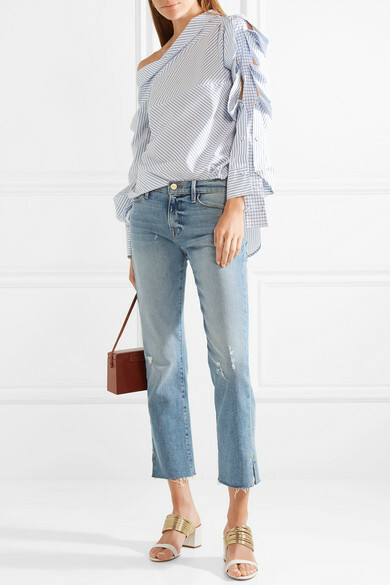 Shown here with: FRAME Jeans, Silvia Tcherassi Top, Hunting Season Shoulder bag, Sophie Buhai Earrings.